Have you ever had one of those days, when everything in your life changes in a snap? That's what happened to me a few months ago, and now my life is about to get wonderfully complicated! I'll leave it at that for now, but there is something important I learned at the same time; even when everything in your life changes, simultaneously, nothing changes. The dishes still need to be done and the dog walked, work still beckons and friends still call, family still needs you and bills still need to be paid. So... I'd be interested in knowing from you... what was the most momentous occurrence of your life, and how did it change - or NOT change - everything? 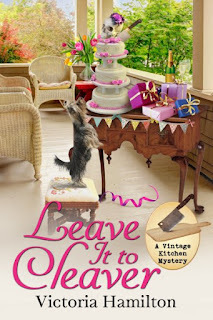 I'm so excited about my the new cover for Leave It To Cleaver, book #6 of the Vintage Kitchen Mysteries, which is coming out in JUNE! I don't have pre-sale links yet, but I can tell you that it will be available as an ebook everywhere, and as a print book in trade paperback size from Amazon and Barnes & Noble. I hope to have news about an audio book at some point. 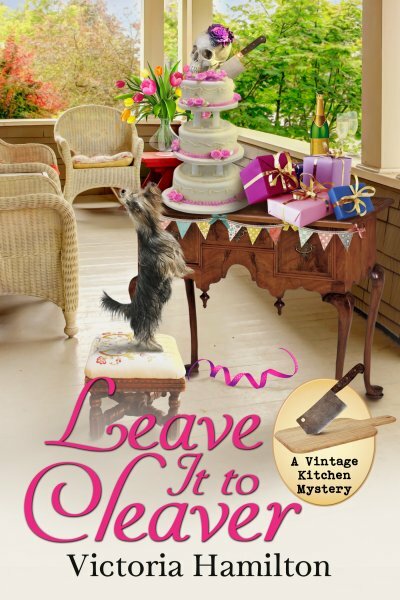 To celebrate, I'd love to give away a copy of any past title of my Vintage Kitchen Mysteries! To enter, comment on the blog post by Midnight, April 23rd, and leave your first name, as well as your email address; yourname (at) yourserver (cot) com is a good format to fool the spam bots. Entries are welcome from anywhere worldwide; if I have a copy of the book and the entry is from Canada or the United States, I'll send out an autographed copy. But... if I don't have the book, or the entry is from somewhere else, I'll be sending it via the Book Depository, and I'll also send you a signed postcard and bookmark. 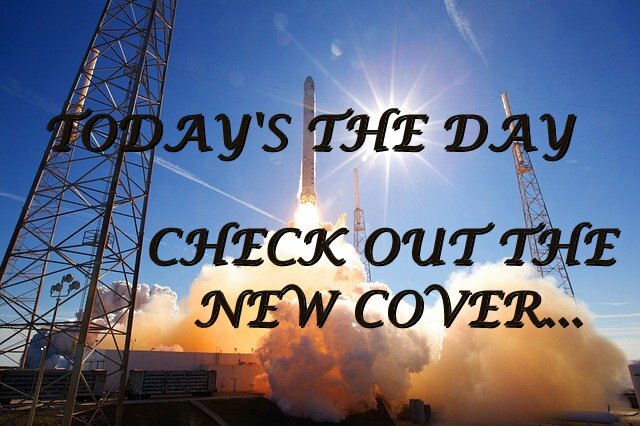 And... tell me what you think of my NEW cover?? I'm so excited about it! I'm new to your books and would love the chance to read one! Love the cover! My most momentous occurrence was getting my Associate's Degree. It opened my life to many opportunities. Melissa. Mcastor07 (at) Gmail (dot) com. Yeah, it's Hoppy!! Love the new cover can't wait to get the new book! When I lost my teaching job in Kentucky in 1980, it forced us to move. We ended up in the UP of Michigan, which was the best thing that ever happened. The new cover was worth waiting for! I'd love a copy of White Colander Crime. bobwiesmann at gmail dot com. Beautiful cover! I'm excited about this one. I knew I hated my job but was still going every day. One day I went in and was the only cook scheduled. I looked at my boss and said your going to have to close I quit. Next day I signed up to go back to school. 3 years latter I was a data base specualist and the rest was history. I want to say I had been working 14 days straight when I quit. 80 seat restaurant and the cooks had quit one by one and not replaced. Servers were quitting right and left as well. I had gone to school 4 years to become a cook. I realized I love cooking hate to do the same thing over and over. I have all your books and love them. Can't wait for June. Love the clever Cleaver cover! When everything in my life changed once, I found out that my friends were true treasures. The cover is terrific, as is the series! Love the cover!!! This is a new to me series and can't wait to dive in!! I love the cover of "Leave it to Cleaver". Love this series and I can't wait to read the new book. I love the cover and cannot wait for the release! I would love to read one of your vintage Kitchen mysteries and thank you for the chance. I love the new cover and can not wait to read the new book. I was afraid this series was gone, but I am thrilled for a new installment. I love the cover. The cleaver atop the cake is a great touch. Would live to win . Love the cover. So happy for new books in any of your series of books. Angela Gillooley drwgsmom@yahoo.com Congratulatuons !!! My marriage and the birth of our daughter certainly rank at the top but the event that changed our lives is my applying for a part time job at our public library. I was 41 and had been a full-time farmer, wife and mother. One day a week turned into two, three and then full-time. I was able to retire after 22 1/2 years from a job that fed my love of books and helped secure our future! Congratulations! 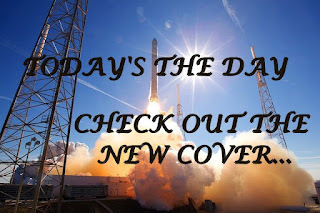 Your cover is beautiful!! Love the cover, it is very nice. adorable cover...love it! I would love to win a copy of Freezer I'll shoot. Thank you for the chance!! Love the cover!! Thank you for the giveaway!! jdzchaotickittie (at) yahoo (dot) com. I don't have #4 or #5 yet! The cover is gorgeous!Thanks for the chance!